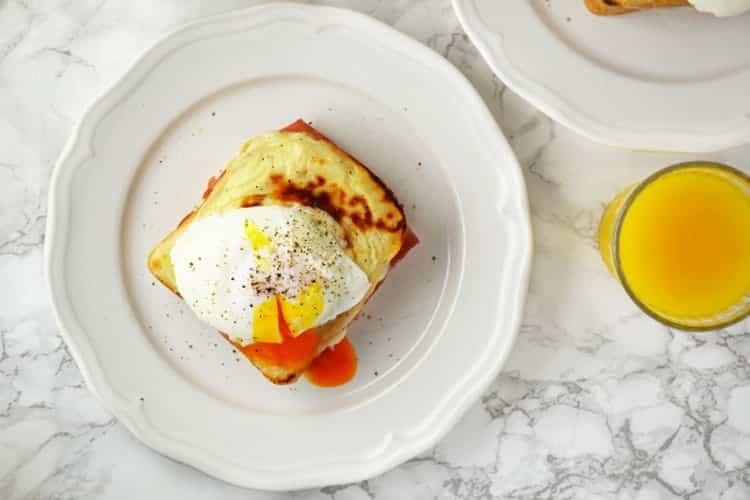 This Easy Croque Madame recipe is the perfect lazy brunch for weekends. 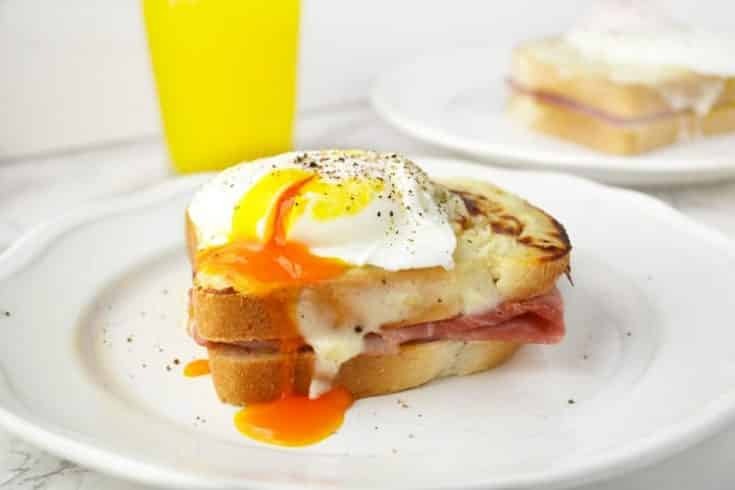 A toasted mustard and ham sandwich topped with a cheesy bechamel sauce and a poached egg. Today’s recipe is not Italian but French! Why? because it’s my favourite way to start the day and when it comes to breakfast it almost always has to be savoury for me. 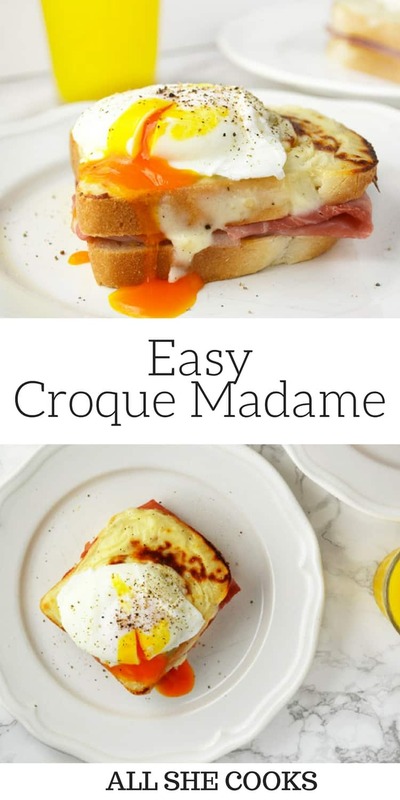 Put down the pastries and enjoy this easy croque madame instead! Croque Madame is a French dish that traditionally is made with Gruyére cheese. It’s fried in butter and topped with a fried egg. I make my own version with cheddar cheese which is just as delicious and less expensive than Gruyére, I also top mine with a poached egg which is my absolute favourite way to eat eggs. This breakfast takes around 15 minutes to make and if you’ve mastered your poached egg making skills then it’ll take even less time. To achieve perfect poached eggs can be quite tricky but after some practice and some weird looking eggs it becomes so easy and they come out perfect every time. It’s important to slowly pour the eggs from a ramekin into the water, the slower the better also the temperature of the eggs makes a difference too. I always find my poached eggs work best at room temperature and not just out of the fridge. These look so impressive for when you have friends or family staying and they’re a great, special treat for Christmas morning too. Preheat the grill to 180°C/350F/gas mark 4. Lightly toast one side of each slice of bread then spread the untoasted side generously with mustard. Top 4 slices with a slice of ham and close to make a sandwich, place on a baking tray.